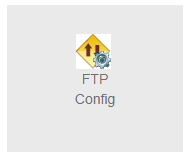 You can configure FTP Setting for your web server accounts. File transfer protocol it is used to transfer files between computers on a network. This can be used to exchange files between computer accounts, transfer files between an account and a desktop computer, or access online software archives. How to install software on your dedicated box? How to create and manage mailing lists in cPanel?